New View Roofing is dedicated to the quality and longevity of your roof. We believe it’s vital to address roofing issues right away. We provide residential roof maintenance and roof repair services to ensure your roof remains in peak condition throughout the year. If you want to avoid large, costly roofing problems in the future, regular roof maintenance is a must. New View Roofing is happy to provide your home with a routine inspection to ensure minor issues don’t turn into major ones down the road. The shingles are buckling or curling. The flashings are rusting or bent. Some shingles are missing or cracked. Your chimney cap is missing or damaged. You notice moss or algae growth. From natural wear and tear to extreme storm damage, New View Roofing specializes in roof repair of all kinds. 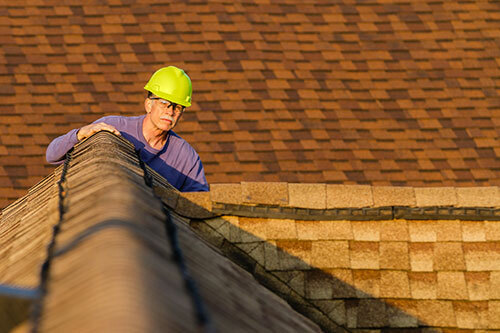 As a locally-owned Dallas roof repair contractor, we’re trained and experienced at recognizing telltale signs caused by Texas weather. During your inspection, our contractors will arrive on time, equipped with state-of-the-art equipment to detect leaks and other problems your roof is facing. We’ll help you come up with a preventive plan to ensure your roof can withstand any elements that come its way. Schedule Your Residential Roof Services Today! Regular roof maintenance can extend the lifespan of your roof and save money on a premature replacement. As a trusted Dallas roof repair contractor, New View Roofing will give you peace of mind that your home is protected. We’re dedicated to providing Texas homeowners with unsurpassed residential roofing services. Call us at (469) 232-7220 or complete our online form. We’ll provide you with a free inspection within 24 hours of receiving your request.